Every day when I walk into The Workshops Rail Museum, I look at the buildings! It sounds a bit obvious, I know, but how often do you walk into work, look at your watch, greet colleagues and not think about the place you are going into? I recently returned to my job as Senior Curator at The Workshops Rail Museum after several months elsewhere. When I came back I was struck anew by the industrial landscape here – the buildings, the spaces, rail lines and fruit trees, vistas and close up detail. The Workshops Rail Museum is located on part of the remarkable heritage-listed site of the Ipswich Railway Workshops and is a place of, and in, history. The site as a whole features buildings from its earliest days in the early 1880s through to the weatherboard Dining Room of the early 1900s and the noteworthy brick Tool and Gauge workshop of the 1940s. 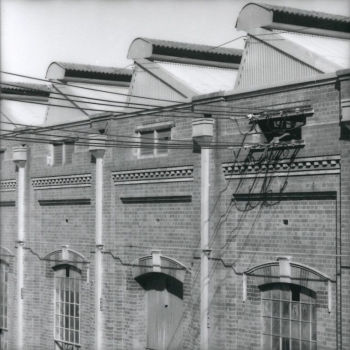 The architecture of the buildings is evocative and shows the change in industrial accommodation through time. 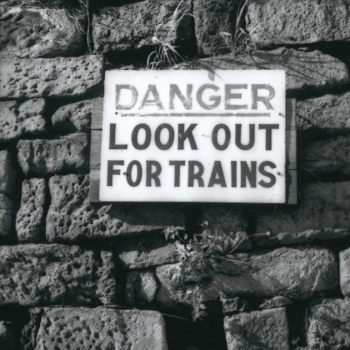 There are however other features which catch the eye … the small detail bricks around the windows, the gutters and drain pipes, the safety and operational signs, and even the tracks and line markings on the floor. All of these details speak to me of the busy past of the site, when thousands of people worked here, boilers and bogies moved around the site, and the noise of carriage builders competed with the clanging of fitters, the clack and whine of machines and the muffled roar of the furnaces in the foundry. Today, the site is much quieter. Instead of 3,000 men trooping up to the Dining Hall, we have the laughter of kids and the soundscapes of the museum; it’s nuggets and chips instead of the workers’ three course lunch and strollers rather that trolleys ply the roads and corridors. But there is still a myriad of details about working on the site embedded in the brickwork, the concrete floor, in signs on walls and even in the trees across the site. So each day when I walk in, I somehow hear the echo of the past and feel privileged to work in such an historically rich place. 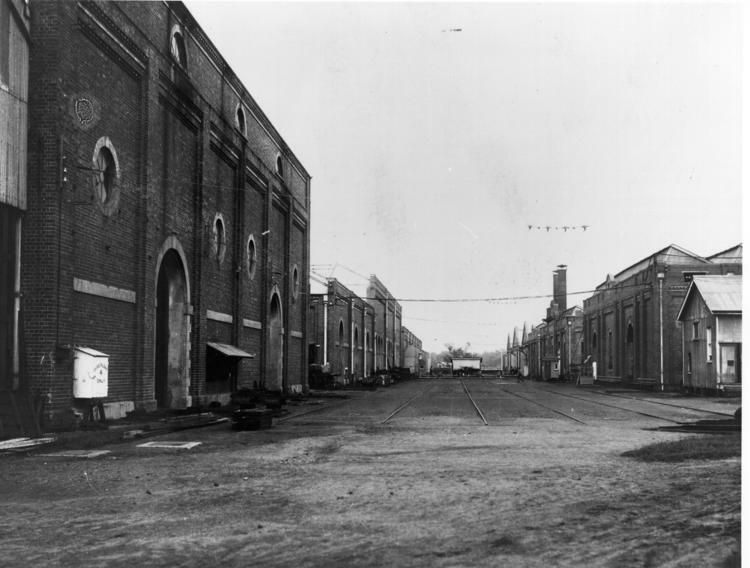 Ipswich Railway Workshops, c1930, view along the Traverser Track. Isn’t history a wonderful reflection of life and Australia in pArticular. We have so little history as a tong country.